P-40 Warhawk Forums > P-40 Warhawk Forums > P-40 Models > P-40L: Finished!!!! For a little change of pace, I've started a 48th scale P-40L using the Eduard P-40M kit with the older Aeromaster P-40 Merlin resin nose. 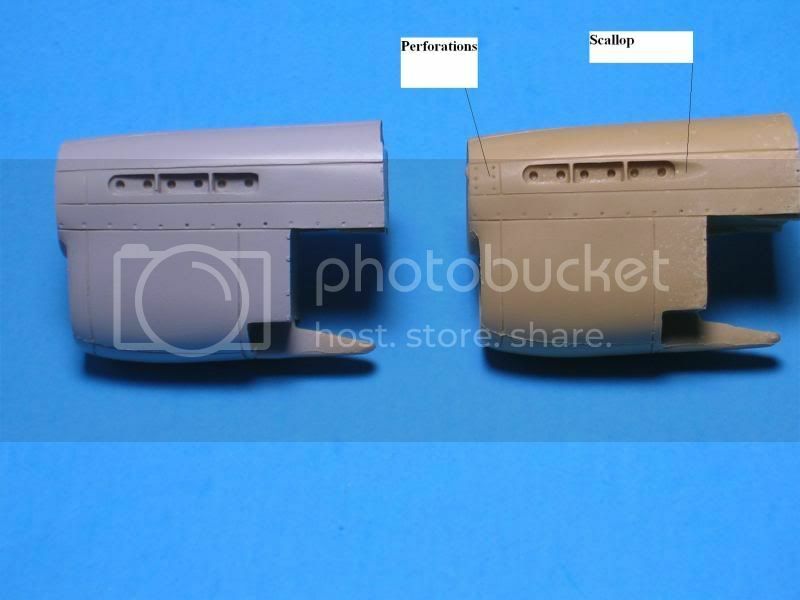 This nose is quite similar to the resin nose provided in the AMtech P-40F/L kit, although there are enough differences that it appears the two aren't interchangeable. However, both noses suffer from a couple of inaccuracies to a certain extent. First, the area in front of the exhausts is "perforated," for lack of a better word, somewhat similar to what is seen on the later P-40M/N. I've never seen these holes on a real P-40F/L. Second, the area behind the exhausts is "scalloped," again for lack of a better word. This is accurate for a short-tailed P-40F which had the round, or tubular, exhausts but wasn't present for the later Merlin versions, which had the flared exhausts. So, I went about correcting these inaccuracies with a little judicious use of gap-filling super glue and, for the scallops, a bit of sheet styrene as well. The end result is on the left, after applying some Mr. Surfacer 1000. Thanks for sharing pics. 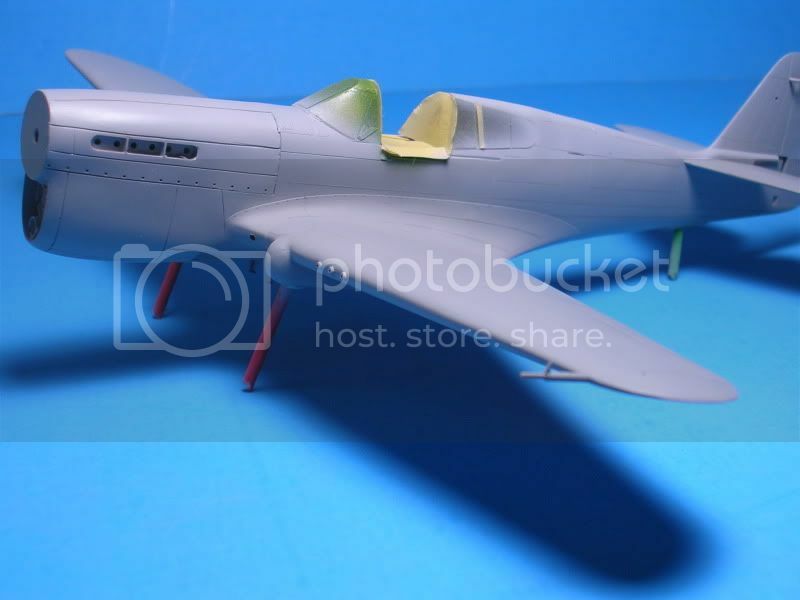 I have a P-40F in progress from AmTech. I'll check into those "scallops" and see if I need to fill them. I have the Ultracast flared exhausts. It caused me to have to grind out very carefully the exhaust area. I used a dremel with a tiny, round detailer so I wouldn't mess up the outer cowling. I'll be watching this, I have the AMtech P-40F/L in the stash to do some time. 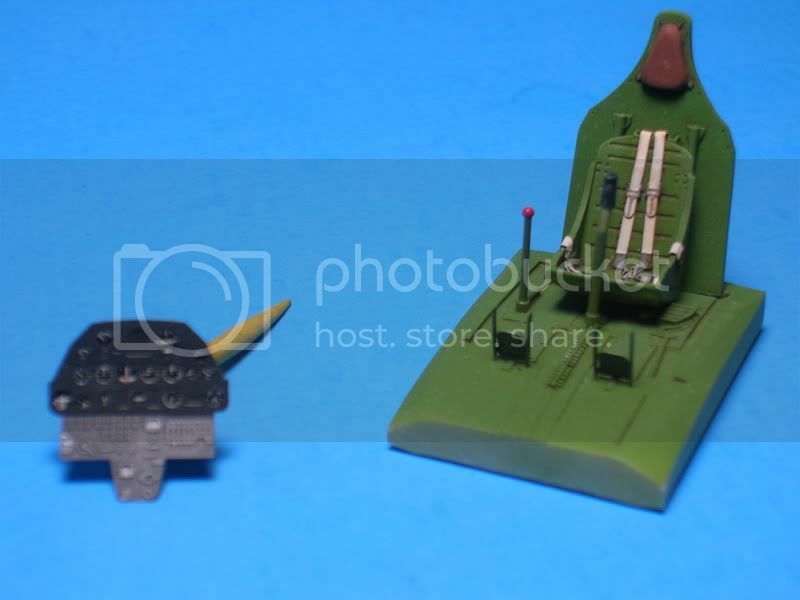 Just starting some work on a 1/48 B-17G and would like to have one of my P-40's on the diorama. Looking forward to seeing the modifications you do. A bit more progress. Here are the Eduard cockpit sidewalls with a few photoetch details. Although probably not 100% accurate for a Merlin P-40 they look busy enough. You can see where I've cut off the front of the fuselage in preparation for the resin nose. Thanks for looking, and a happy Thanksgiving to all! The fuselage halves are glued together and the resin nose has been attached. The fit of the nose is pretty good, although temporary placement of the lower wing shows a gap that will have to be dealt with. Yeah that cowl flap actuator handle on the right cockpit wouldn't be there for an "L" because they had the electrically operated ones. No big deal. How many people would even know that?! That resin nose looks great on the Mauve/Eduard kit. I used Aves Apoxie to fill the gaps and it sands up really nice and does not shrink. Thanks for the comments. I hadn't even thought of the electrically operated cowl flaps; I simply added the photoetch detail from the Eduard set for the manual control! Anyway, as you said few people will notice it so I won't mess with it at this point. I've not used Aves Apoxie before. Where's a good place to get or order it from? I got mine at the IPMS nationals in 2005 from Aves display table! Good news is it's readily available from amazon now. They even have white (mine is natural color). 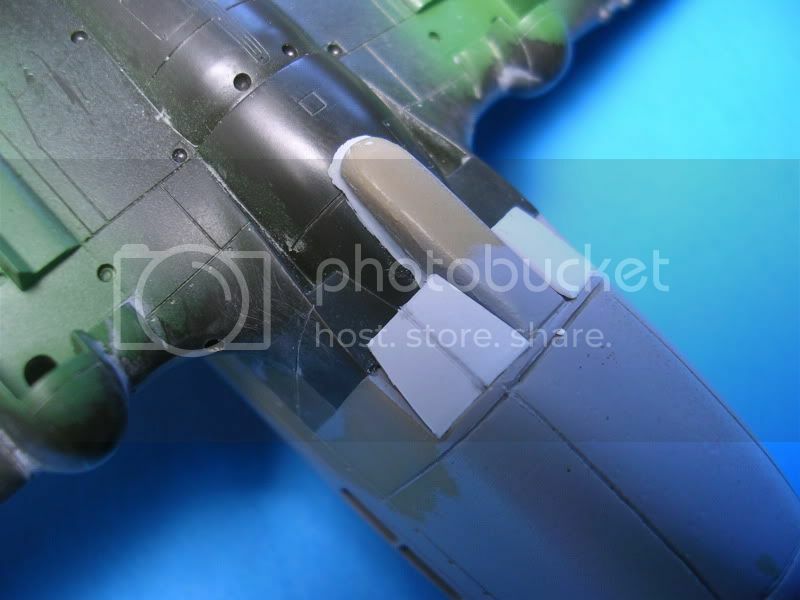 I'll put a picture in my P-40F thread so you can see how well it sands and files with plastic and resin joints. Vince, a belated thanks on where to get Aves Apoxie! Really good progress on this so far, can't wait to see how it turns out. Still plugging away at this slowly but surely. 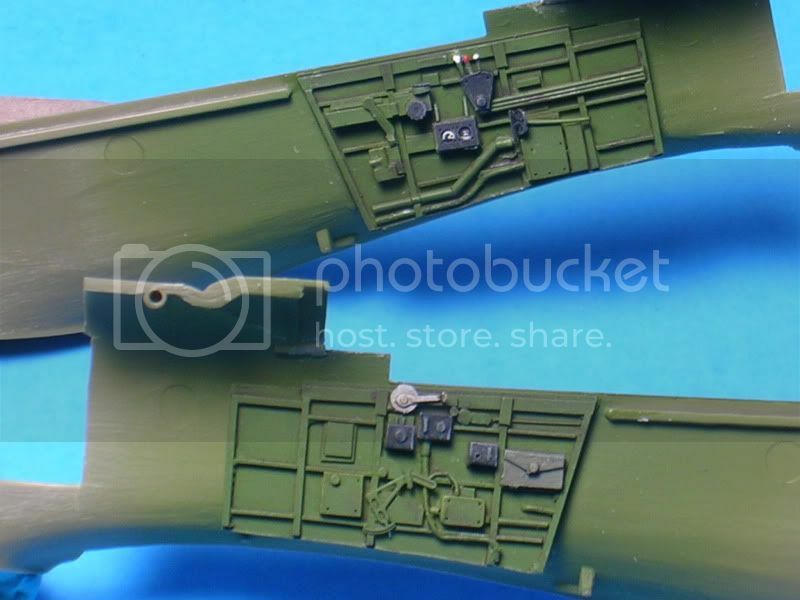 For anyone who has built the Mauve/Eduard P-40 series and used the resin cockpit included in the Eduard boxing, you'll find out that you can end up with some pretty serious wing root gaps. One method to alleviate this issue is to use some scrap styrene as spacer bars inside the fuselage to spread it (learned this from Tom Cleaver). 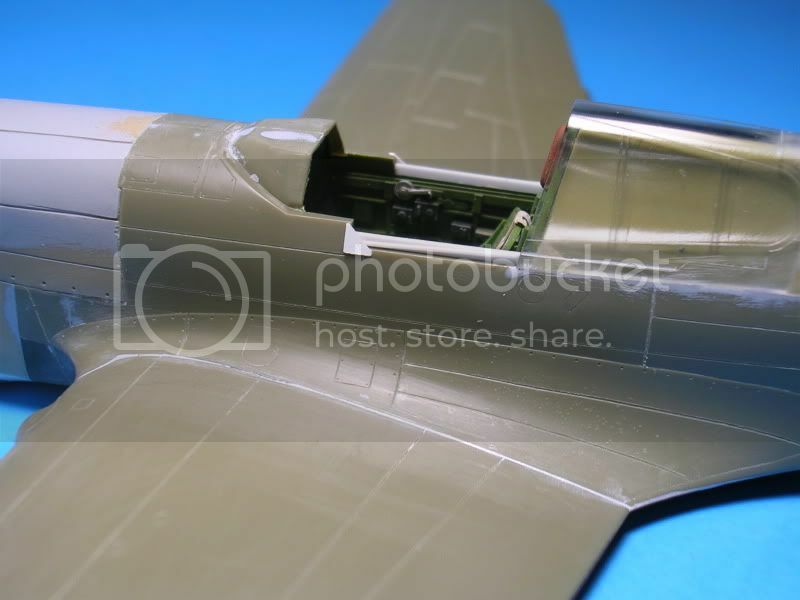 The problem in my case is that you can't really spread the fuselage (at least in front of the cockpit) without affecting the fit of the resin nose. So, I still ended up with some wing root gaps that needed filling. Anyway, I've spent the last few weeks filling, sanding, re-filling, re-sanding, re-scribing lost panel lines, etc. in an effort to get this thing ready for painting. Soon I'll prime the beast and, hopefully, will only have a few minor seams to fix . You'll notice the plastic is of two colors. 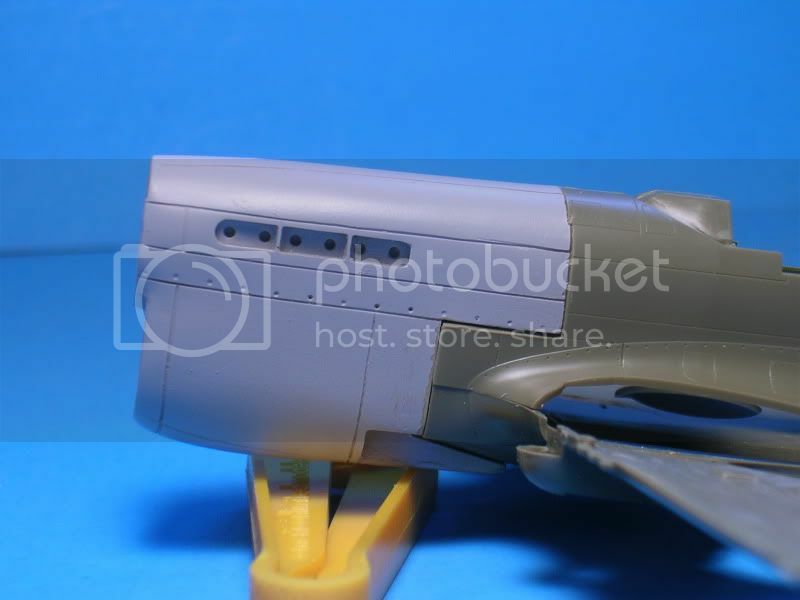 Most of it is from the Mauve kit while the bottom fuselage/wing portion is from the Eduard boxing. The one in the Mauve kit was warped and I was too lazy to fix it . Re: P-40L: Ready for the paint shop! Well, after weeks of seam work the beast is finally primed and ready to go . The end result is far from perfect but good enough for me. I've rescribed some panel lines around the nose to more accurately those found on a Merlin P-40 and also drilled out the wing guns in preparation for hypodermic needles as gun barrels. I have one of those Mauve kits in my stash...I think it's a P-40N. You are inspiring me to build it! I have the decals for "Lope's Hope". I think I have a photoetch canopy rail set for that kit. This model is really looking good. Speaking of "Lope's Hope," I'm reading "Into the Teeth of the Tiger" by Donald Lopez now. It's a great read. How do you apply your Mr. Surfacer 1000? I have a spray can of it (the white kind) and it seems to go on heavy out of the can yet dries somewhat translucent. Yours seems so good and opaque. Are you putting on lots of coats?